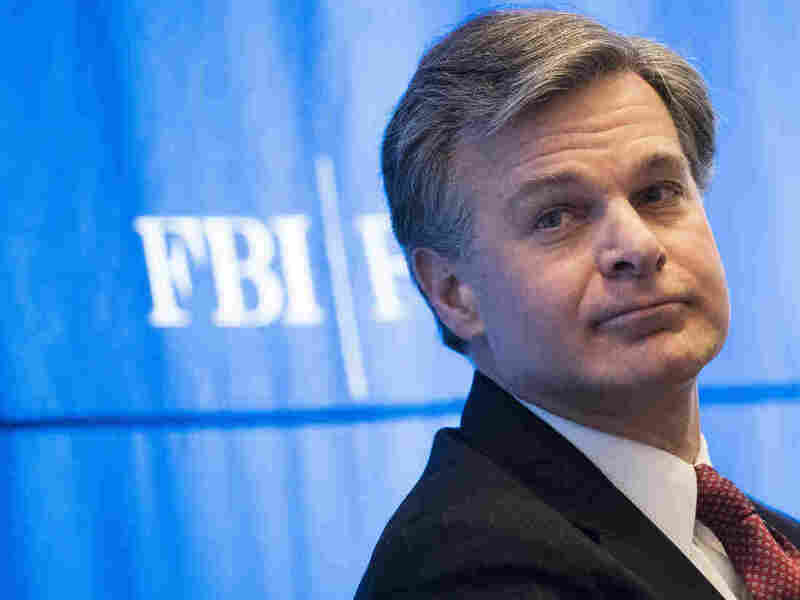 Feds, DOJ Prepare 3rd Secret Briefing On Confidential Sources For Hill Bosses Congressional leaders say they're mostly satisfied with what they've learned about the counterintelligence investigation but have a few more questions for the FBI and Department of Justice. FBI Director Christopher Wray has briefed congressional leaders about the counterintelligence investigation into Donald Trump's campaign and the bureau is preparing another session. The Justice Department is "pleased" to follow up with the House, Senate and committee leaders, the official said, to answer questions that lawmakers have posed since the last briefing. House Speaker Paul Ryan told reporters on Wednesday that he was mostly satisfied that the FBI had acted appropriately in investigating Donald Trump's campaign in 2016 but that he still had a few more questions. The FBI and DOJ say they're preparing to answer. Top federal law enforcement officials have been trying to quash charges by Trump that the FBI spied on his campaign for improper political reasons. They've convened one briefing already for committee leaders and one for the "Gang of Eight." The FBI sent a confidential informant to meet with three members of Trump's campaign in 2016 after the Russian government began making overtures with offers of "dirt" on Hillary Clinton, "off the record" meetings and other help.